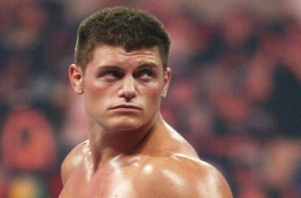 Cody Rhodes Addresses "Stardust" Critics, Explains Why He Did Not Return to WWE as "Cody Rhodes"
Cody Rhodes took to Twitter yesterday to address fans who were upset that Rhodes returned to WWE TV, following the death of Dusty Rhodes, as the heel Stardust instead of as Cody Rhodes. Rhodes went on to note that when Dusty Rhodes had Cody referee his first pro wrestling match, he gave Cody a referee shirt with the name “Stardust” embroidered on it. Chad Dukes then posted a vintage photograph of Dusty Rhodes sporting a pair of “American Dream” trunks also with the name “Stardust” embroidered on it. You can check the photo out at this link.